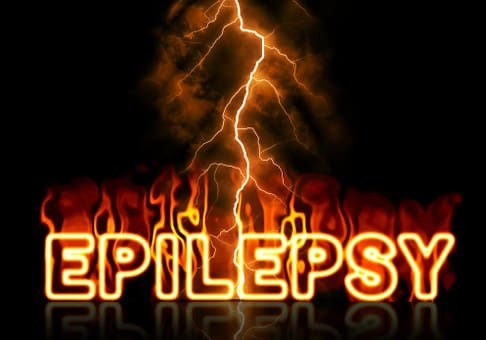 Epilepsy is a group of neurological diseases characterized by recurrent seizures. Seizures happen as a result of a sudden surge in the brain's electrical activities. Depending on which part of the brain is affected a seizure may manifest a lot of awareness unusual behaviours or sensations uncontrollable movements or a loss of consciousness. The brain is a complex network of billions of neurons, neurons can be excitatory or inhibitory. Excitatory neurons stimulate others to fire action potentials and transmit electrical messages while inhibitory neurons suppress. This process preventing excessive firing of a balance between excitation and inhibition is essential for normal brain functions. In epilepsy, there is an upregulation of excitation and or down-regulation of inhibition causing lots of neurons to fire synchronously at the same time. The word seizure is a general term used to describe the medical condition in which too many brain cells become excited simultaneously. There are so many kinds of seizures that neurologists are still updating how to classify them. usually, they classify seizures into two main types partial seizures and primary generalized seizures. If this abnormal electrical surge happens within a limited area of the brain it causes partial or focal seizures. If the entire brain is involved generalized seizures will result in partial seizures subdivide further too. Simple partial depending on the affected brain area patients may have unusual feelings strange sensations or uncontrollable jerky movements but remain conscious and aware of the surroundings. Complex partial seizure, on the other hand, involves a loss or changes in consciousness, awareness and responsiveness. Generalized seizure subdivides further to absence seizures this type occurs most often in children and is characterized by a very brief loss of awareness. Commonly manifested as a blank stare with or without subtle body movements such as eye blinking or lip smacking. People with absence seizures may not be aware that something is wrong for years. The difference between these types is in how they begin. Primarily generalized seizures begin with a widespread electrical discharge that involves both sides of the brain at once. On the other hand, partial seizures begin with an electrical discharge in one limited area of the brain. All generalized seizures begin with synchronous electrical activity throughout the brain, accompanied by sudden generalized movements or loss of consciousness. Tonic seizures are associated with stiffening of muscles and may cause the person to fall. 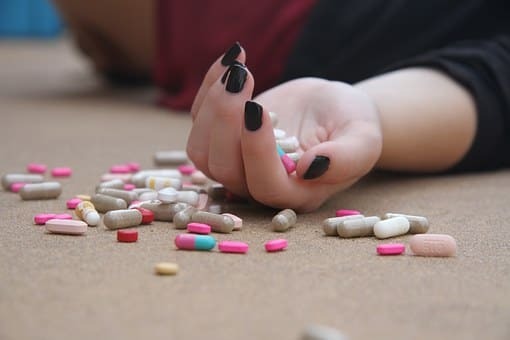 Tonic seizures also known as drop attacks are characterized by a sudden loss of muscle tone which may cause the person to collapse or drop down. There can be one or many non-rhythmic twitches occurring within a couple of seconds. 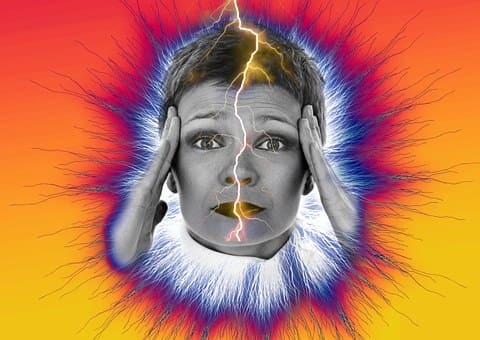 The most common and also most dramatic are tonic-clonic seizures also known as convulsive seizures which are combinations of muscle stiffening and jerking. This type is what most people relate to when they think of a seizure, it also involves a sudden loss of consciousness and sometimes loss of bladder control. A tonic-clonic seizure that lasts longer than five minutes requires immediate medical treatment. Once called a grand mal is what most people think of when they hear the word seizure. When someone experiences a tonic-clonic seizure first. They stiffen and lose consciousness which is the tonic phase, then they begin jerking and this lasts for several minutes called the clonic phase. Sometimes seizures don't have a tonic stiffening and a clonic jerking sequence but are just tonic seizures or clonic seizures. Other types of generalized seizures include absence seizures when the sufferer disconnects from the world for a few seconds. Myoclonic seizures which caused jerking but just for a second or two. partial seizures which begin in a single part of the brain are further described by two important additional criteria. The first is whether awareness memory and consciousness are preserved during the seizure. if they all are preserved then a seizure is called simple partial. However, if any are impaired then the seizure is called complex partial. the impact of a partial seizure depends on where in the brain it originates and how it spreads. Partial seizures sometimes have an aura which is a warning that bigger seizures may follow, an aura usually occurs seconds to minutes before a seizure. There are many different ways in which people experience an aura the start of a seizure in one of the temporal lobes can produce unusual feelings abnormal sensations or forced thinking. The onset of a complex partial seizure may be heralded by deja vu, a familiar feeling, or jamais vu an unfamiliar feeling. Some patients have auras of sounds tastes distorted vision racing thoughts or smells like burning rubber physical sensations. That can occur as auras include dizziness, headache, lightheadedness, and numbness, an upset stomach is a particularly common physical symptom. Auras can include a sense of tingling rising up the body or other strange feelings that are difficult to describe distorted emotions like fear or panic can also be a seizure warning. However, some complex partial seizures occur without any remembered warning. Epilepsy may develop as a result of a brain injury, tumour, stroke previous infection or birth defect. Generalized seizures that start in childhood are likely to involve genetic factors. Epilepsy due to a single gene mutation is rare more often an interaction of multiple genes and environmental factors is responsible hundreds of genes have been implicated. Examples include genes encoding for GABA receptors major components of the inhibitory circuit and ion channels. Many genetic disorders that cause brain abnormalities or metabolic conditions have epilepsy as a primary symptom. The cause of epilepsy is unknown in about half of cases. Diagnosis is based on observation of symptoms medical history and an electroencephalogram or EEG to look for abnormal brain waves and EEG may also help in differentiating between partial and generalized seizures. Medication successfully controls seizures for about 70% of cases many antiepileptic drugs are available which targets sodium channels GABA receptors and other components involved in neuron communication. Different medicines help with different types of seizures patients may need to try several drugs to find the most suitable. Diet a ketogenic diet has been shown to reduce or prevent seizures and many children whose seizures could not be controlled with medication ketogenic diet is a special high-fat low-carbohydrate diet that must be prescribed and followed strictly. With this diet, the body uses fat as the major source of energy instead of carbohydrates. The reason why this helps control epilepsy is unclear nerve stimulation therapies such as vagus nerve stimulation in which a device placed under the skin is programmed to stimulate the vagus nerve at a certain rate the device acts as a pacemaker for the brain. The underlying mechanism is poorly understood but it has been shown to reduce seizures significantly. Finally, surgery may be performed to remove part of the brain that causes a seizure, this is usually done when tests show that seizures are originated from a small area that does not have any vital function.